The agriculture industry took another hit, with the loss of an icon this week. 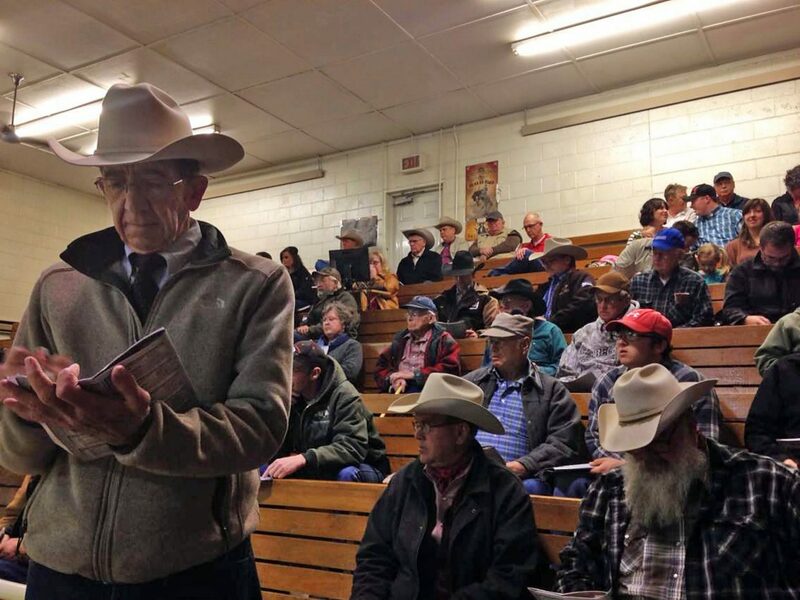 A ringman, a salesman, a cattle buyer, a businessman, but always first, a friend, to so many, Jerry Gliko, 75, passed away on Feb. 10, 2019, in Great Falls, Montana. A Little Belt native, and Belt, Montana resident, he left behind lots of great stories, that span across many states and even into other countries. I had the pleasure of working with him at the Western Livestock Journal between 2010 and 2014, and I looked forward to my weekly phone calls with him. Jerry wasn't into the computer stuff yet. His sale reports typically came in faxed and hand written. While his computer knowledge may have been lacking (or non-existent), I got the better end on a good trade – the man was a wealth of information on cattle and each phone call I had with him, I hung up smiling. His sense of humor and outlook on life were amazing. 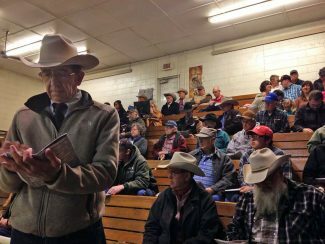 "I traveled a million miles with this guy while he was working for Western Livestock Journal," John Goggins, with Western Ag Reporter shared with me. "So proud to have called him one of my very best friends." "And we were competitors," Goggins pointed out. "But that's what's unique about our industry. We are competitors, but in the ring, we become a team." While the number of actual miles the man put on vehicles will never be known, the stories will only get better. "I remember the days he drove an old T-bird," Pete Crow, WLJ, shared with me. "He was infectious to everyone he was around. They didn't just like him, they loved him," Goggins shared. Jerry didn't know a stranger and it didn't matter if a person flew in on a jet plane or drove in, in an old beat up pick-up, Jerry treated them the same, Goggins said. "I don't know that he ever had a bad day. He was always upbeat." Rick Urick, Jerry's brother, posted a note on John Goggin's Facebook post honoring Jerry, which had garnered well over 200 posts on Wednesday. "Thank you for this post regarding my older brother Jerry. It's so humbling to hear testimony from so many. He left behind a wonderful legacy and touched so many lives! So blessed to be called his brother." The sentiment was echoed over and over, and his business connections were just as strong. "He had a good eye for cattle," both Goggins and Crow shared. "Jerry was always extra dependable and professional in every sense. I could always know he would get my advertising done on time and correct and would be a good company man on our sale day. Our customers definitely had confidence in his handling their bids. He earned his retirement well and will rest in peace," Buddy Westphal, from Polson, Montana, wrote. "Sad to hear of the passing of Jerry. A fantastic ringman who was an all around good guy," wrote Dr. Bob Hough, Lonetree, Colorado. Jerry was also a pivotal point in the Salers cattle breed coming to the United States, according to Goggins. Salers were first imported into the United States in 1972, after Jerry spent some time in France learning about the breed. Jerry's legacy in the cattle industry began at birth. Born in Great Falls on June 10, 1943 to Rudy Gliko and Edna Lee Gliko, Jerry began life on the ranch in Little Belt. His life came full circle back to the ranch, where he and his brother, Gary, have spent the last several years working together.